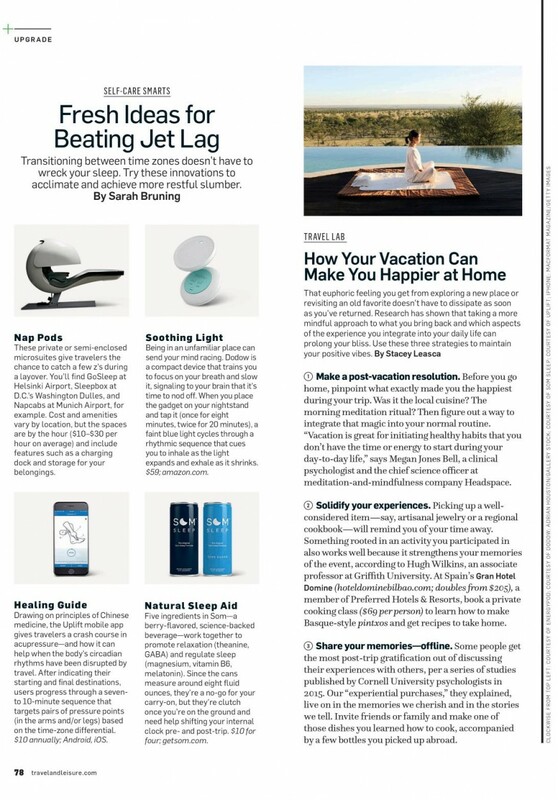 Uplift, the revolutionary mobile app designed to address the devastating effects of jet lag; thus providing solutions for global health and wellness issues important to corporate travelers. Uplift believes in enhancing your travel experience, performance, and your most valuable commodity: time. Out of thousands of travel related startups across the global, Uplift was selected to be featured on Innovation Row at the 2018 Global Business Travel Association Convention (GBTA) held last month in San Diego, California, and is now an active member of the GBTA. The GBTA supports the 9000-plus professionals in the $1.4 trillion dollar travel industry, and strives to be the world’s leading source of travel knowledge for business travelers. This was the largest conference in the history of the GBTA, featuring over 6,700 attendees and more than 1,300 buyers. This milestone ties into Uplift’s mission of finding solutions for global health and wellness issues, as it allowed the Uplift team to engage with many executives in charge of sourcing new and innovative solutions for their traveling executives. In a large industry, buyers are now focusing more and more on productivity, wellness, and performance related solutions that promote better work/life balance for their organization. After achieving an important milestone, the GBTA Convention could not have occurred at a more opportune time as Uplift recently launched their new Corporate App, which allows travel buyers to add more value to their corporate wellness initiatives. “Attending the GBTA Conference was certainly a wise move for the Uplift Brand. Not only did it present the perfect platform to launch our new Corporate App and educate the industry about this solution, but it strengthened our brand within the business travel community helping us grow our user-base,” says Uplift CEO Ted Finn. For more information on Uplift, please visit www.upliftnaturally.com. If you wish to learn more about exciting news about how Uplift is impacting the global travel community please contact Ted Finn at tedfinn@upliftventuresllc.com.